WASHINGTON—The recent kerfuffle over a secret recording of Sen. Mitch McConnell’s campaign strategy meeting, which focused on opposition research about a likely opponent, actress Ashley Judd, has divided observers into two groups. One consists of those disturbed by the bugging of a private conversation. The other consists of people who were mostly offended by the content of the conversation, which concerned Judd’s emotional problems, and laughter about certain odd comments she has made over time. First, welcome to reality. Nothing about this episode, first exposed by Mother Jones magazine, is novel or especially outrageous, except for the allegedly illegal activity. Many may find the content of Team McConnell’s discussion unappealing, obnoxious, mean, or … banal, anyone? If you want to elect a senator who has never been depressed or contemplated suicide, vote for a dog. What people say in a private meeting among trusted colleagues, meanwhile, is of a different order. In a wiretap world, where and when does anyone get to be frank? Or, heaven forbid, irreverent? If we have to always worry about someone recording our thoughts, beware the perfect thinker. Later, participants discussed Judd’s criticism of the patriarchal order of Christianity and the traditional family model. In other words, shocker, Judd is a liberal Democrat. Naturally, her opponent might wish to highlight these philosophical differences. What sent some commentators lurching for the salts, however, was a comment that Judd is “emotionally unbalanced,” the implication being that McConnell’s minions would publicly question her emotional and psychological stability. Whether this would have transpired is irrelevant since Judd decided not to run before the tapes were leaked. But the desired objective was achieved: The specter of men making fun of a woman—who, let’s be honest, is most memorable for vastly enhancing the desirability of perspiration—inspired an emotional/protective response and portrayed McConnell as a bully. Suddenly, questions of illegal recording were displaced by the continuous looping of mean McConnell’s strategy of personal destruction. Then again, he might have figured such an approach would be politically imprudent. Few today would approve of the treatment handed Thomas Eagleton, who lost his place as George McGovern’s vice presidential running mate in 1972 because he had had electroconvulsive therapy during an earlier depressed period. These days, we are more sensitive to emotional and mental health issues and generally attach no shame or dishonor to counseling, which is simply a sophisticated method of problem-solving. Moreover, do we really want to limit our choices for public servants only to those who have had no challenges (liars), or who think they have no need for greater self-awareness? What Team McConnell might have done with that “something,” we’ll never know. What we do know is that someone taped a private conversation and should be prosecuted accordingly. As for Judd, smart girl took a pass. 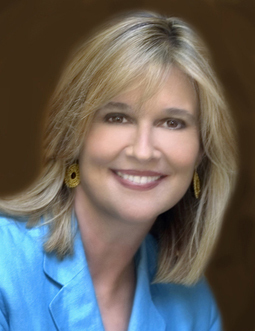 Kathleen Parker’s email address is  HYPERLINK "mailto:kathleenparker@washpost.com" kathleenparker@washpost.com. (c) 2013, Washington Post Writers Group.